After unveiling their new LG G Watch R last month LG has made its new smartwatch available to visitors to IFA 2014, allowing them to get a first hands-on view of the smartwatch ash see how it compares to other on the market such as the recently unveiled Samsung Gear S.
The LG G Watch R ism fitted with a round P-OLED 1.3-inch display offering a resolution of 320 x 320 pixels and is powered by a 1.2GHz Snapdragon 400 quad-core processor supported by 512MB with 4GB of internal memory for storage. Check out the quick hands-on video after the jump. 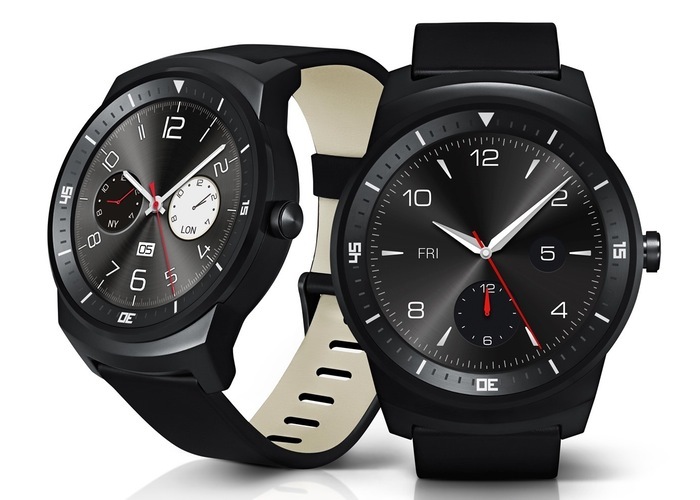 The LG G Watch R has been specifically designed to use Google’s latest mobile operating system in the form of a new Android Wear operating system and will be able to link to smartphones and tablet running Android 4.3 Jelly Bean or higher. LG have equipped their latest smartwatch with a heart rate monitor and have made the casing both dust and waterproof. As you would expect the new LG smartwatch provides the standard array of notifications after it has been linked to your smartphone. But unlike the new Samsung Gear S you cannot make calls directly from your wrist. Motorola is also expected to officially unveil its new Moto 360 smartwatch later this week and as soon as they do we will keep you updated on its specifications, price and availability. The new LG G Watch R will be priced at €299 and will be available to purchase next month during October 2014.